Times Now to air special election show with eminent panelists. There’s a big difference between what we did in the past [at the Olympics] and what’s happening now,” Nalin Mehta, co-author of Olympics: the India Story, an account of the evolution of India’s participation in the Games, told The Telegraph. Two recent books provide rich accounts of the [Indian hockey] story: Boria Majumdar and Nalin Mehta’s Olympics: The India Story, and Ronojoy Sen’s Nation at Play: A History of Sport in India. 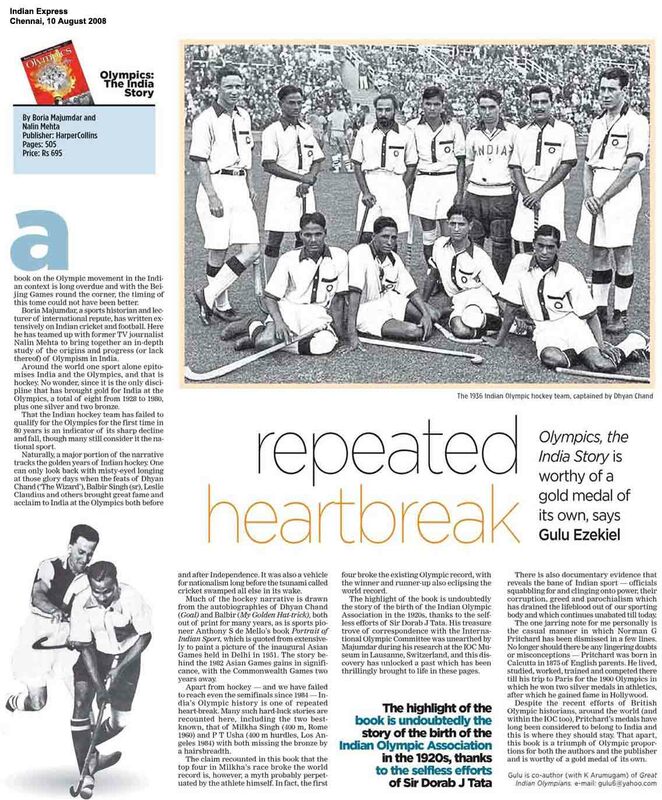 These accounts, based on newspaper reports, archival sources and memoirs by Dhyan Chand and MN Masood, another member of his 1936 team, depict the chaotic yet exhilarating early years of Indian hockey at the Olympics. Social scientist Nalin Mehta examines the defective paver-blocks of regulations that line the pathways of Indian media, and suggests roadwork…One of the great risks of writing about television is that like cricket, everybody watches it, everybody has an opinion on it and everybody thinks they know exactly what the solution is,”writes Nalin Mehta in his prologue to Behind a Billion Screens. This certainly proved true at the launch of his book when journalist, Rajdeep Sardesai’s fatalistic view on both the news and entertainment industry ignited a heated debate. Though Mehta’s book is a systemic analysis of Indian media and what brought it to its current state — where talent’s lost in a lattice of hackneyed, uninspired storylines and farcical “bhoot ka phone number” news reports it also offers the promise of hope. 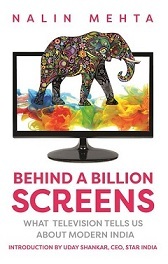 Nalin Mehta’s recently released book ‘Behind a Billion Screens: What Television Tells Us About Modern India’ is receiving rave reviews from around the world. The New York Times devoted an entire column to the book, where the novelist Manu Joseph noted that “Mr. Mehta’s book portrays a host of problems facing Indian television” and the link between media and the Indian democracy. Leading magazines and newspapers like Mint, Outlook, Business World, Scroll, Yahoo etc. have also carried long extracts and stories about the book that focuses on the wider social meaning of television and how it reflects the broader Indian story. The release of senior journalist Nalin Mehta’s book and the discussions that followed have revealed the deep contradictions held by Indian journalists and also the crisis that engulfs the media profession. There is a coup underway in India: Some people who are inconvenienced by democracy have taken over nearly all the country’s television news channels….These facts are retold in a new book, “Behind a Billion Screens: What Television Tells Us About Modern India,” by Nalin Mehta, a historian and former television journalist….Mr. 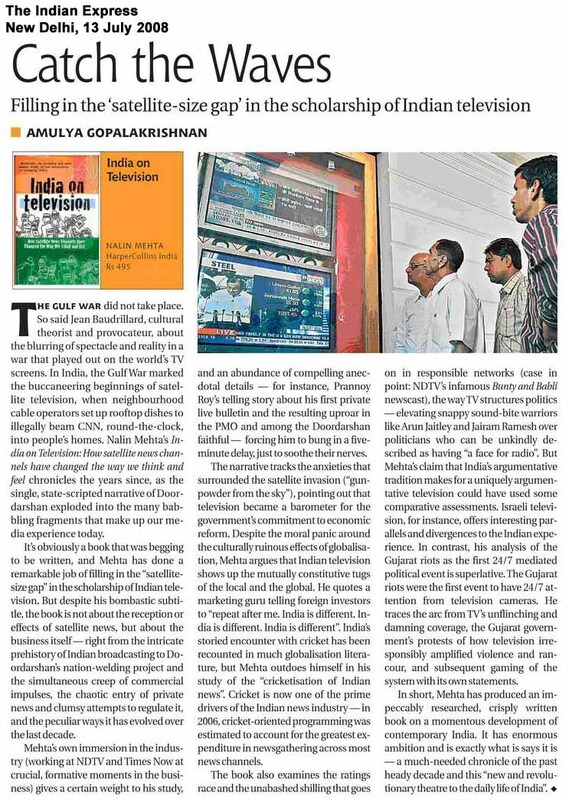 Mehta’s book portrays a host of problems facing Indian television, including the tastes of viewers, a lack of talent, youth hampered by poverty and substandard schooling, and government policies that impede the ability of channels to expand their revenues. Nalin Mehta: today journalists rank lower than politicians in credibility. Mehta’s book is a systemic analysis of Indian media and what brought it to its current state – where talent’s lost in a lattice of hackneyed, uninspired storylines and farcical “bhoot ka phone number” news reports – it also offers the promise of hope.. Headlines Today saw the exit of its managing editor Nalin Mehta, a position, which was later filled by IBN7’s Vinay Tewari. Applauding such an effort, Nalin Mehta added, “Those who worship the creator need to now take care of creation. MUMBAI: After his brief stint at Headlines Today, Nalin Mehta has now switched places as the new consulting editor of the Times of India. Mehta, who joined the organisation on 8 August, will be based out of New Delhi, highly placed sources have confirmed to indiantelevision.com. Prior to this, he was managing editor of Headlines Today. Mehta has had a long association in the media industry starting off in the broadcast media as a journalist with Zee News and then moving on to NDTV. After completion of his PhD, he became deputy news editor and prime time anchor with Times Now. By moving back to the print sector, sources say, Mehta has taken a break from the broadcast media for a while. 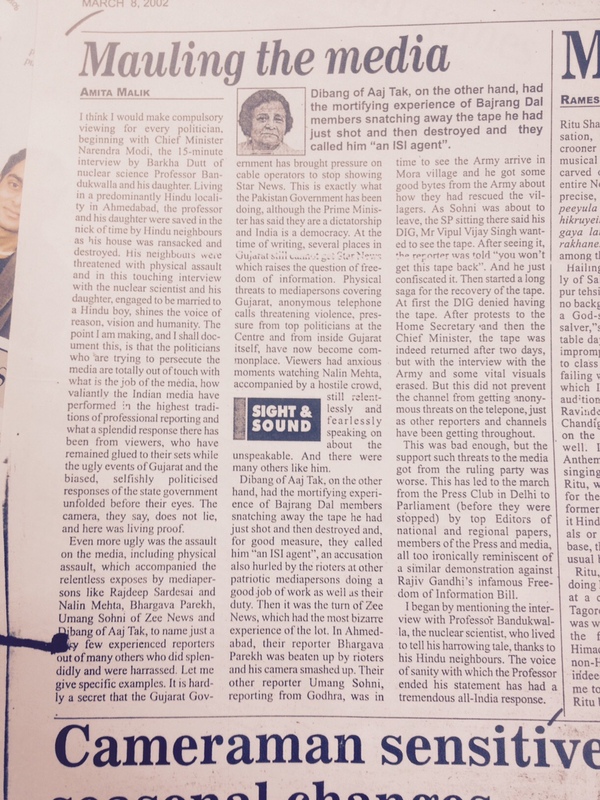 Nalin Mehta Managing Editor of Headlines Today on 7th May has given his resignation from the post. He was appointed as Managing Editor in October last year, when he replaced Rahul Kanwal, who is now Editor-at-large for Headlines Today as well as Aaj Tak. Nalin Mehta has put in his papers as Managing Editor of Headlines Today. He was appointed as Managing Editor in October last year, when he replaced Rahul Kanwal, who is now Editor-at-large for Headlines Today as well as Aaj Tak. Such are the ironies of history that the first Asiad was largely financed by money from two Bombay clubs; one focused only on cricket, which has never featured in the Games till date,” write Boria Majumdar and Nalin Mehta in their book Olympics—The India Story. tea of the times when he was a student here. 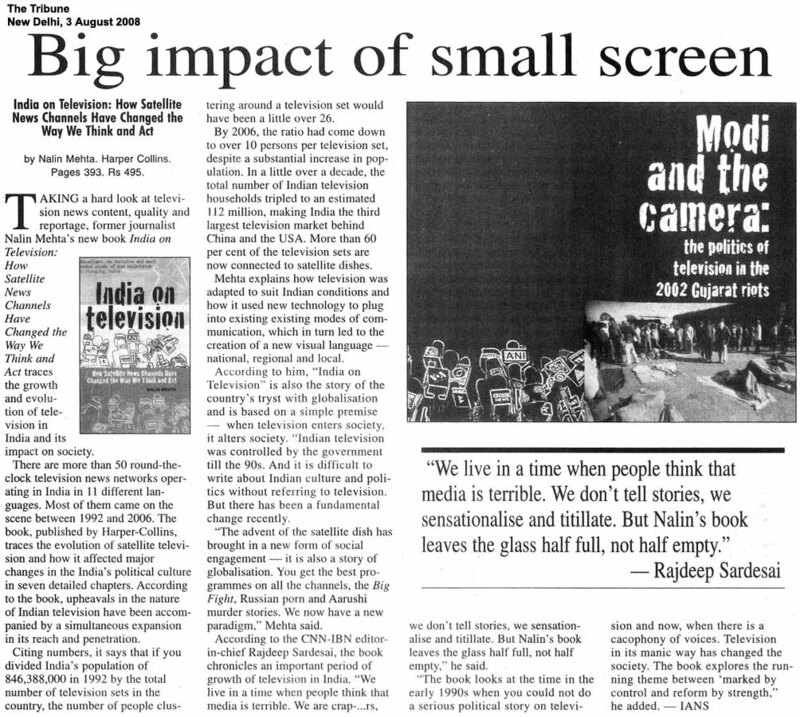 This is a Malayalam review of India on Television in the bilingual monthly journal of the Kerala Press Academy, 5 years after the book first came out (pages 42-45). 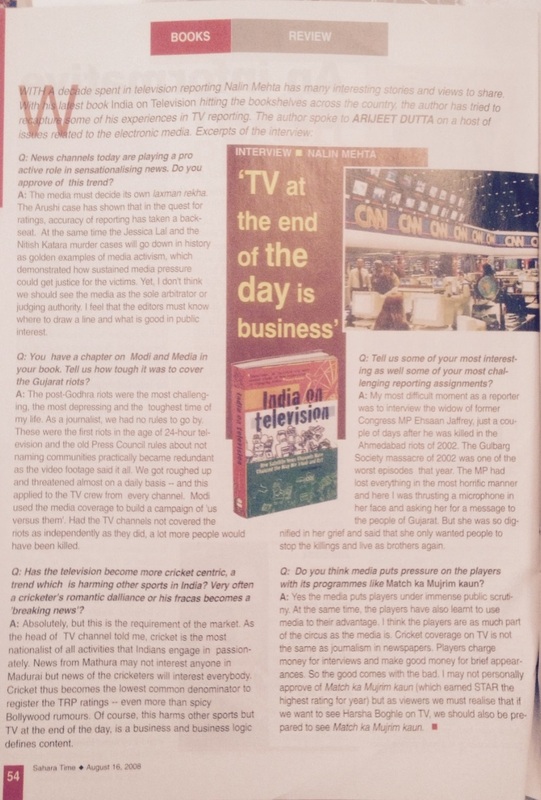 Nalin Mehta in his excellent study ‘India on Television: How Satellite News Channels Have Changed the Way We Think and Act’, called it Indira Gandhi’s attempt to transform television into a ‘Trojan horse’ into the citizens’ living rooms, thereby making it the ultimate propaganda tool for the Congress. TV Today Network has appointed Nalin Mehta as Managing Editor for English news channel Headlines Today. Mehta, who joined office today, will be based in Delhi. He replaces Rahul Kanwal who has been made Editor-at-large for both Headlines Today and and Hindi news channel Aaj Tak. By BestMediaInfo Bureau, 30 September 2013. Nalin Mehta has been appointed as Managing Editor of Headlines Today. Mehta takes charge from Rahul Kanwal, who is now Editor-at-large for Headlines Today as well as Aaj Tak. Mehta has been a consultant with Headlines Today after quitting Times Now in 2008. He has also worked on international development issues with the United Nations Development Program and the Global Fund in Geneva, besides contributing columns to several publications. -By exchange4media, 1 October 2013. As fascinating middle chapter lays bare Nehru’s ambitions for an Asian Games….After independence as India sought to assert nationhood, Majumdar and Mehta write, “The Olympics came to symbolise something deeper than a simple test of athletics skills. It was about identity and equality as much as it was about westernization and modernity. the controversy Dhyan Chand and the entire Indian contingent created by refusing to salute Adolf Hitler at the 1936 Berlin Olympic Games…In their book “Olympics: The India Story” (Harper Sports), authors Boria Majumdar and Nalin Mehta shed some light on the episode. “..answers the question [about Gujarat] insightfully and comprehensively through eight distinct articles on different aspects of the State. Edited by Nalin Mehta, Honorary Fellow, Institute of South Asian Studies, National University of Singapore, and Mona G. Mehta, who teaches politics of South Asia at Scripps College in Claremont, California, United States, the book seeks to focus on the change and continuity in the State. Apart from the editors, six inquisitive scholars of history, political science, anthropology, sociology and media studies explore key trends and events with fresh eyes, to “shed new light on hidden corners and to discern new meanings… The book helps us to understand this divide [between Gujarat aand India] better by dissecting the various dimensions of contemporary Gujarat, which continues to be Hindutva’s least-explored laboratory. 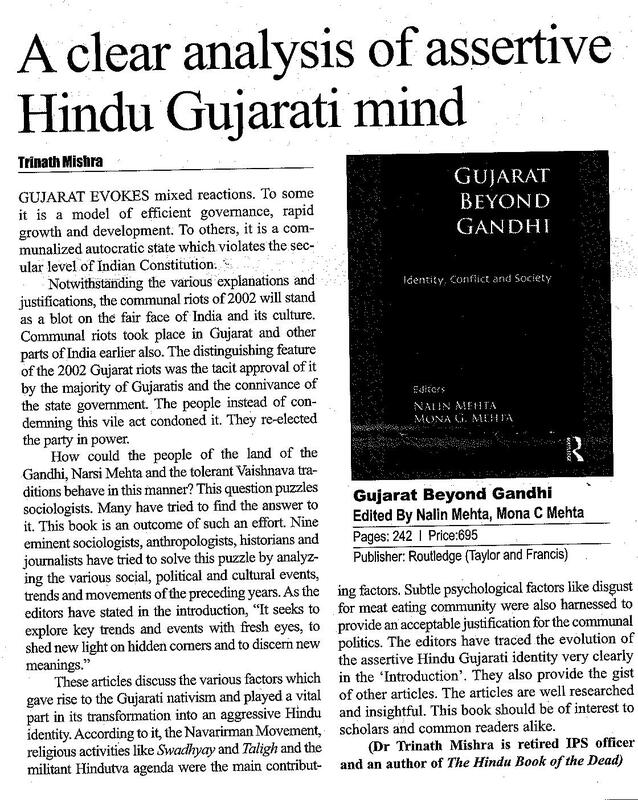 The editors have traced the evolution the assertive Hindu Gujarati identity very clearly… the articles are very well researched and insightful. The author Nalin Mehta says there is a strong perception among the urban middle class that India is finally taking its rightful place near the top of the international order and that neither it, nor its citizens, should be pushed around. Nalin Mehta (Ex-Rn, SSP, ’96) has been honoured by the Government of Australia with the Australian Alumni Excellence Award for Media and Entertainment for his work as a writer, social scientist and columnist. The awards, intended to honour people who have had links with Australia and excelled in various fields, were presented in Delhi on Oct. 12 by the Australian High Commissioner to India, Mr Peter Varghese. Nalin Mehta has previously held fellowships at La Trobe University, Melbourne and Australian National University, Canberra. More than $7 million was spent on that 10-minute segment, says a new book, Sellotape Legacy, by Boria Majumdar and Nalin Mehta. In contrast, less than $750,000 was spent on the entire Indian sports contingent at the Melbourne Games. Mehta says the extravagance in Melbourne was a pointer to the waste and mismanagement to come.”It showed how skewed the priorities of the organisers were,” he told the Herald. Majumdar and Mehta have made one of the few independent estimates of what the 2010 Commonwealth Games have cost India, including all related infrastructure. Their tally came to about $17 billion, more than 110 times the first estimate prepared by organisers in 2002. The inaugural Australian Alumni Excellence Awards were presented at an awards ceremony held in New Delhi on Saturday, October 9. Alumni Excellence Award for Media and Entertainment Dr Nalin Mehta, Columnist – An alumni of La Trobe University, with a Doctorate in Politics, Dr Mehta has written four books and writes columns in major Indian newspapers. 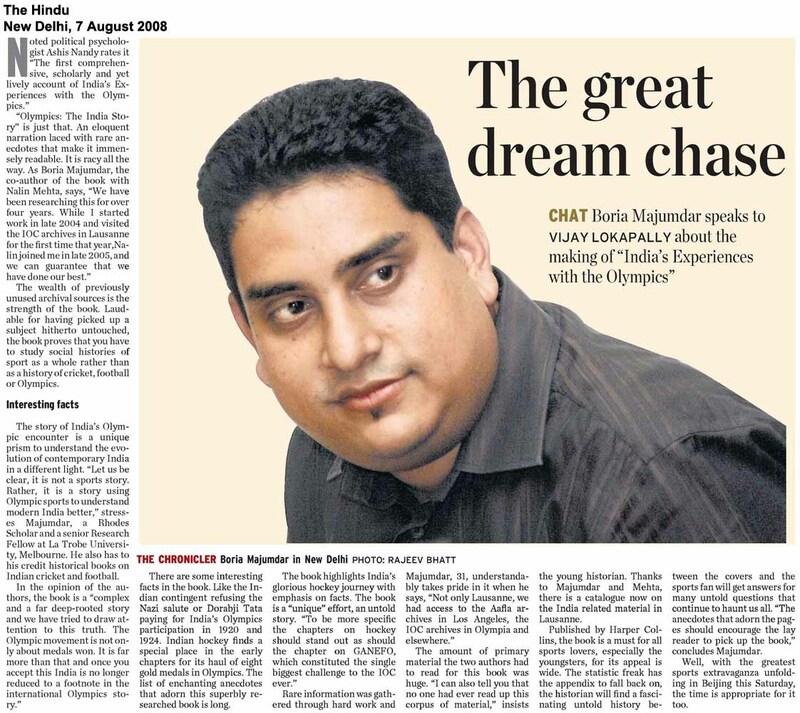 As Boria Majumdar and Nalin Mehta set out to unravel the layers of the Commonwealth Games 2010, they zeroed down on the title ‘Sellotape Legacy’ with “some degree of disappointment.” They were “absolutely convinced that from here on what India can best achieve at the Games will be a Sellotape Legacy— it’s a last minute patch up job to get the event going.” They reveal how “there should have been one person with the sole authority of taking decisions, as was in the 1982 Asiad. 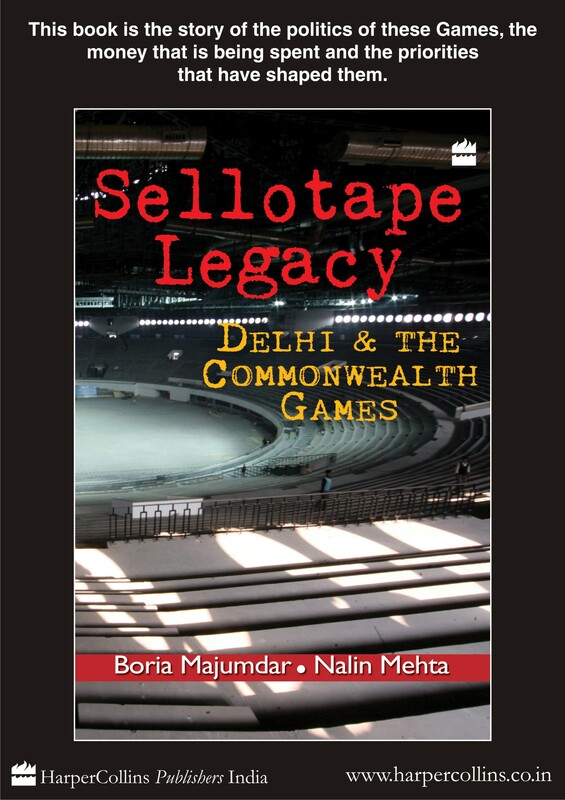 Rajiv Gandhi, for good or bad, could take calls as multiple decision makers are catastrophic for the Games.” Majumdar and Mehta get candid with Sukalp Sharma on their research, experience, revelations, and all that has gone into their latest offering—Sellotape Legacy: Delhi and the Commonwealth Games. Of Moditva, BJP and Gujarat! In a post-Vajpayee, post-Advani age, (Gujarat chief minister) Narendra Modi alone among the BJP’s Gen-Next is a proven mass leader, having delivered Gujarat for a unprecedented fourth consecutive term. 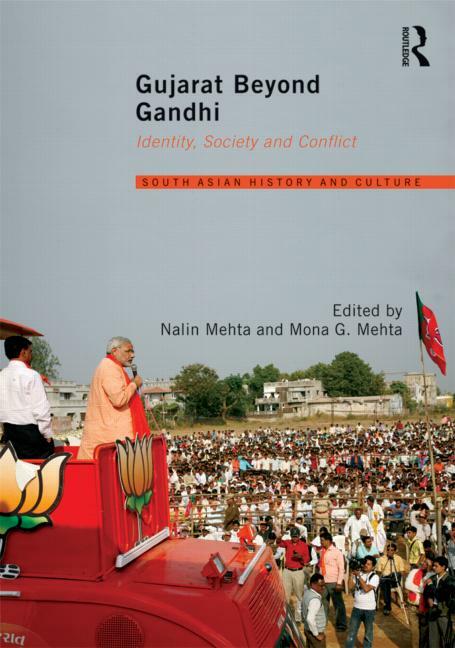 As the party struggles to redefine itself after the 2009 electoral debacle, the Modi model is seen by a wide section of the party rank and file as the next saviour,” says writer-journalist Nalin Mehta in “Gujarat beyond Gandhi: Identity, Conflict and Society….This book, edited by Mehta and Mona G Mehta and published by Routledge, touches upon a fascinating range of topics – the identity debates at the heart of the idea of modern Gujarat; the trajectory of Gujarati politics from the 1950s to the present day; bootlegging, the practice of corruption and public power; vegetarianism and violence; urban planning and the enabling infrastructure of antagonism; global diasporas and provincial politics – providing new insights into understanding the enigma of Gujarat. The debate about ‘Moditva’ is a metaphor for alternative visions for India and its future trajectory will be decisive not only for Gujarat but equally for BJP, a new book says…provides much-needed insights into the dominant impulses of identity formation, cultural change, political mobilisation, religious movements and modes of communication that define modern Gujarat. Nalin Mehta, a spokesman for the Global Fund to Fight AIDS, Tuberculosis and Malaria, said many homosexual men in India were ”marginalised, invisible and difficult to access”. In the past few months the fund has boosted its contribution to HIV prevention programs in India in response to these challenges. 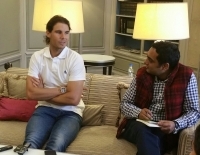 According to veteran journalist, writer and media observer Nalin Mehta, “… We now have a new paradigm. The advent of satellite dish has brought about a social engagement. You get the best of programmes on 200-odd private channels and Doordarshan has to compete. Is the sound bite closer to the Indian argumentative tradition than verbiage, characteristic of most Indians? This volume is part of a series called ‘Routledge Media, Culture and Social Change in Asia’. 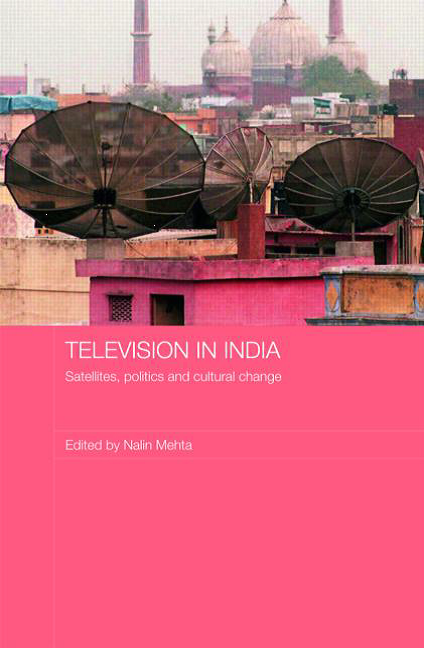 Nalin Mehta, in his Introduction, seeks to provide a socio-cultural perspective on contemporary Indian satellite television, which is really a post-1991 phenomenon. New Delhi, July 17 (IANS) The marketing campaign for the Man Booker winning novel, “The White Tiger” by Aravind Adiga, has bagged the ‘Excellence Award (best book)’ of the Asian Multimedia Publishing Award 2009. 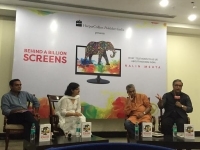 The campaign was adjudged the best for using multimedia marketing by a publisher in the most effective way.Noted journalist Nalin Mehta’s book, “India on Television” has won the award for the best book/best writer on Asian media, a statement issued by HarperCollins-India said Friday. Noted journalist Nalin Mehta’s book, India on Television has also been short listed… nominated for the best book writer award. Most of the 115 million households with a TV set have seen bad publicity about Australia over the past few weeks. “This story has redefined the image of Australia for the average TV-watcher in India,” said Nalin Mehta, a television historian….Mehta believes the story resonated with the country’s burgeoning urban middle class, where there is a strong perception that the country is an emerging power that should not be pushed around. 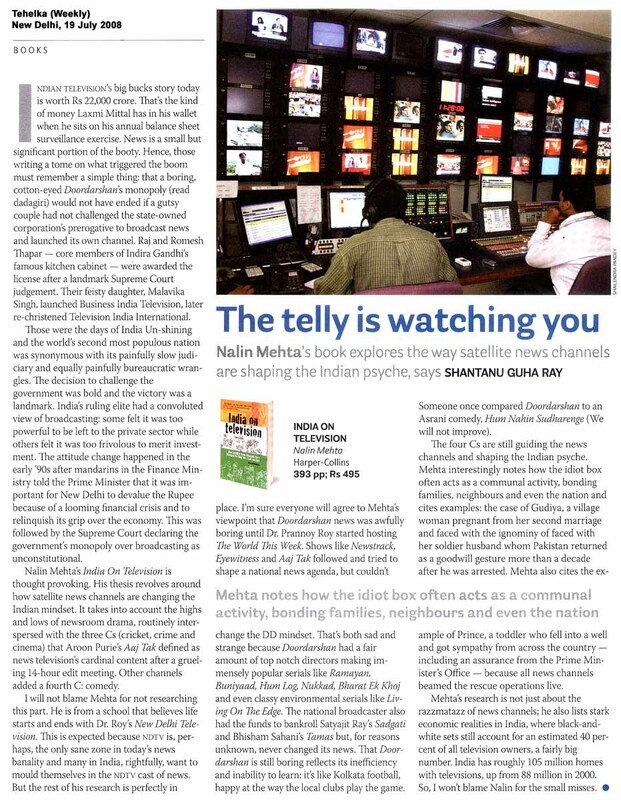 The title of Nalin Mehta’s book India on Television: How Satellite Channels Have Changed the Way We Think and Act, makes it clear that he has set himself a big task. 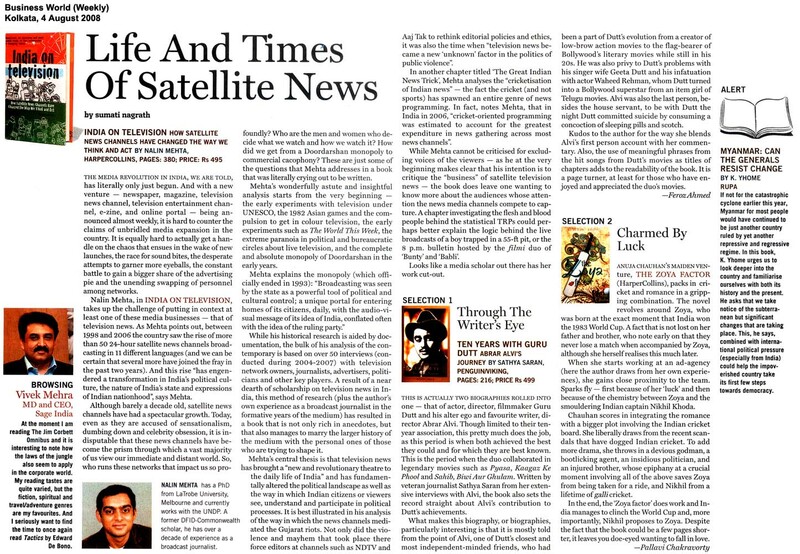 The book covers a lot of ground, beginning from the Doordarshan era, tracing the evolution of news TV through the days of Prannoy Roy’s The World This Week on DD and Madhu Trehan’s video magazine Newstrack to the present when there are at least 14 English language news networks. Nalin Mehta has made an authoritative, well-documented and scholarly study of this great TV expansion [in India]… This book traces the history of outstanding TV channels in India – Zee, NDTV, Aaj Tak, Star and Asianet with little known facts about the financial and technical aspects of their growth based on interviews with key figures and personal knowledge gained by the author’s work in some of these media organisations….One of the best books since the publication of Michael Richards and David French’s Television: Easter Perspectives, 1993, the first book in the era of globalization dealing with the cultural aspects of TV in major regions of the East. There are books which are relatively easy to classify. This is one such book. It is first rate…This book is sure to change the way a thinking reader watches and understands television…. What stands out is the author’s obvious intellectual ability, the wide range of references he has drawn from and the pains he has taken to ferret out the information from different sources and collate them into a comprehensive whole… This is a book that is sure to change the way a thinking reader watches and understands television. 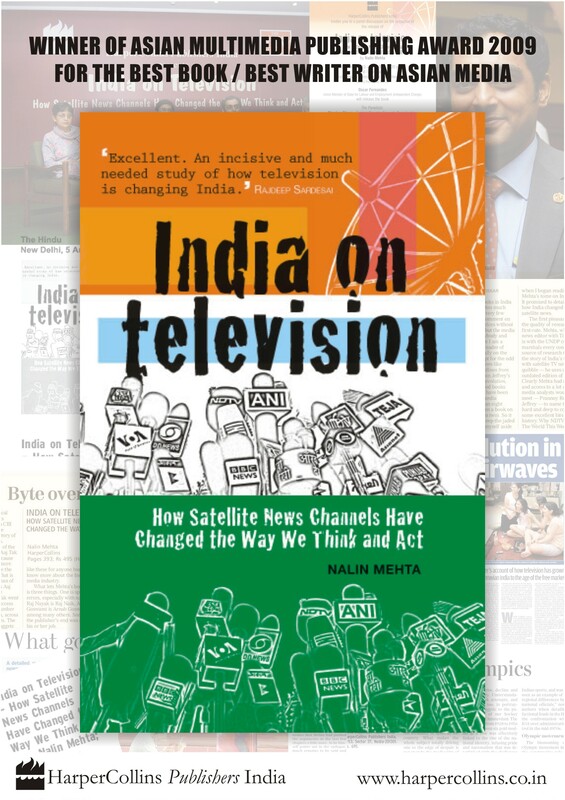 India on Television is a genuine chronicle of the long road to discovery and coming of age of Indian satellite television…Author Nalin Mehta has put together an enchanting saga of the growth of visual media in India in this 392-page well-researched book…Overall it’s an excellent book. 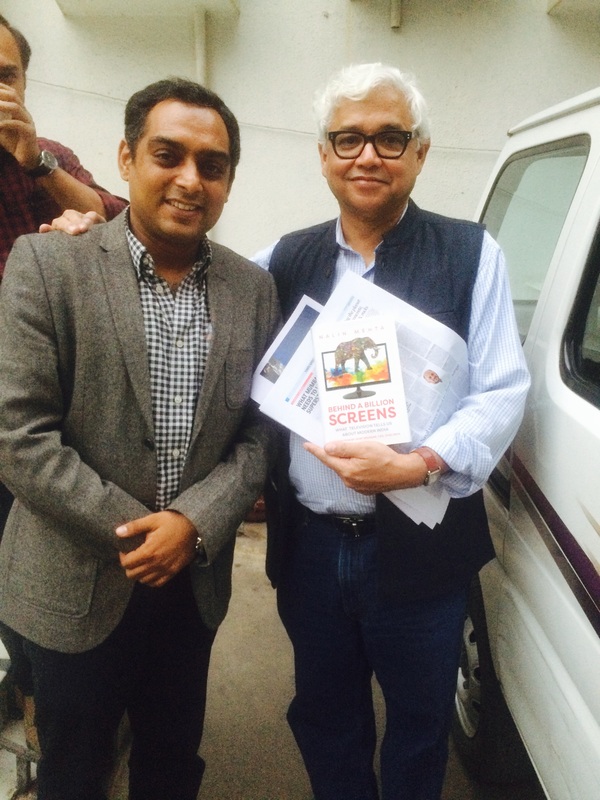 With a decade spent in television reporting, Nalin Mehta has many interesting stories and views to share. 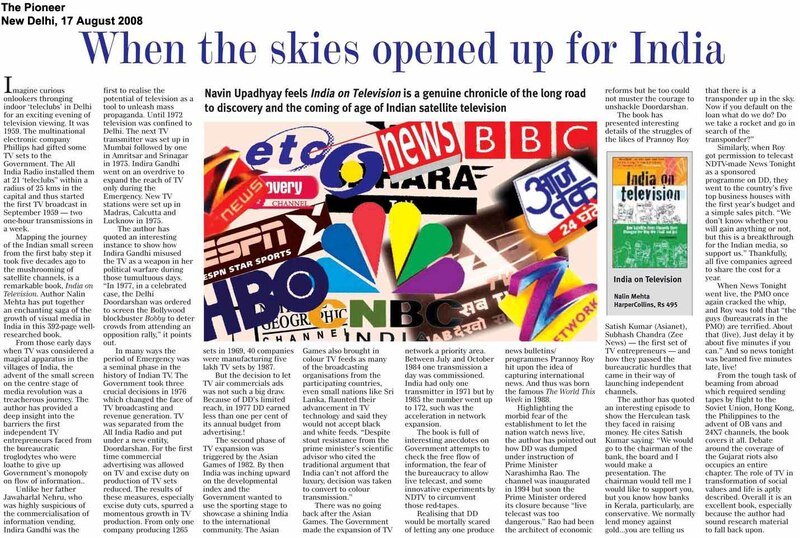 With his latest book India on Television hitting the bookshelves across the country, the author has tried to recapture some of his experiences in TV reporting. Boria Majumdar, a sports historian and lecturer of international repute, has written extensively on Indian cricket and football. 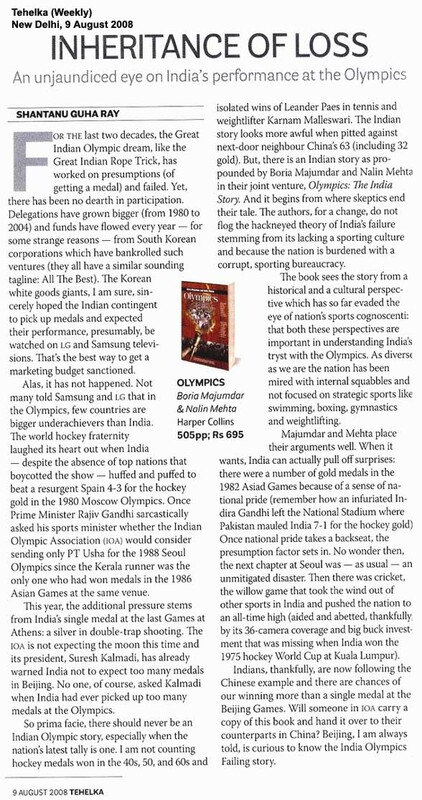 He has teamed up with former TV journalist Nalin Mehta to bring together an in-depth study of the origins and progress (or lack thereof) of Olympism in India….this book is a triumph of Olympic proportions for both authors and the publisher and is worthy of a gold medal on its own. 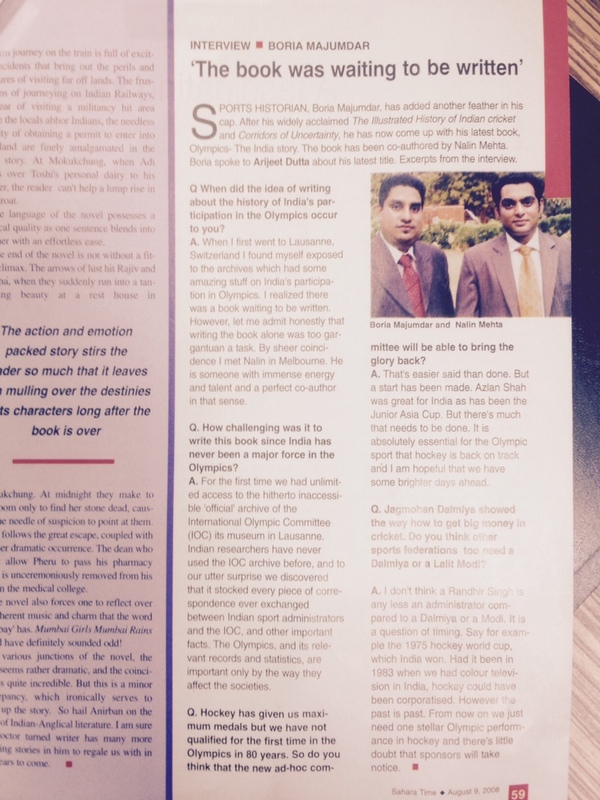 A spectacular narrative encapsulating India’s Olympic journey over the years… writers Boria Majumdar and Nalin Mehta surprise all by coming out with a well researched book, Olympics- the India Story…Laden with interesting anecdotes and historical facts. Boria Majumdar and fellow academic Nalin Mehta have shown that there is a lot more to Indian sport than just cricket. Or rather, those hockey golds… A well-researched effort, the book brings out some astounding details of Indian sports, its origin, the politics, passion and sacrifices. 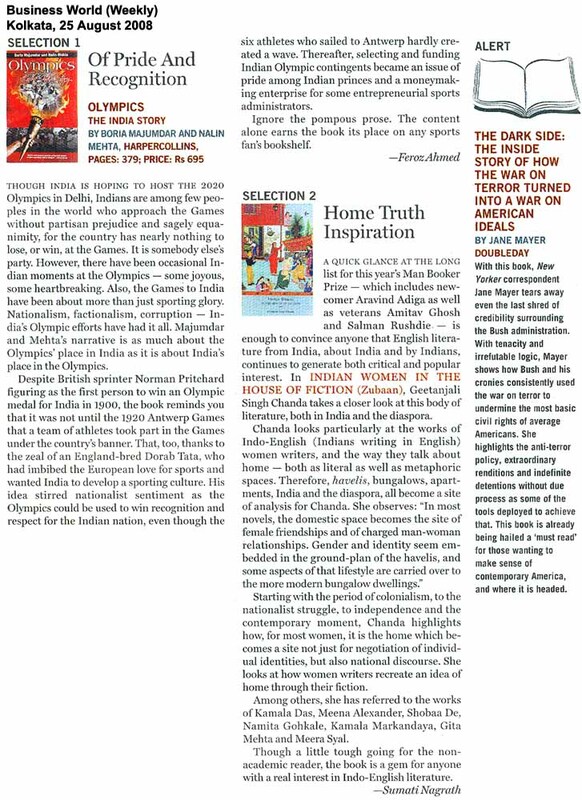 Noted political psychologist Ashis Nandy rates it “The first comprehensive, scholarly and yet lively account of India’s Experiences with the Olympics.” “Olympics: The India Story” is just that. 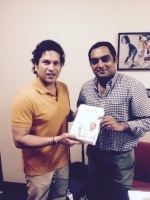 An eloquent narration laced with rare anecdotes that make it immensely readable. It is racy all the way. As Boria Majumdar, the co-author of the book with Nalin Mehta, says, “We have been researching this for over four years. While I started work in late 2004 and visited the IOC archives in Lausanne for the first time that year,Nalin joined me in late 2005, and we can guarantee that we have done our best. Boria Majumdar and Nalin Mehta have used the national sport as “the prism/metaphor to analyse the working of sports administrators in India”, and consequently to provide an understanding why the country’s Olympic history has more troughs than crests…. 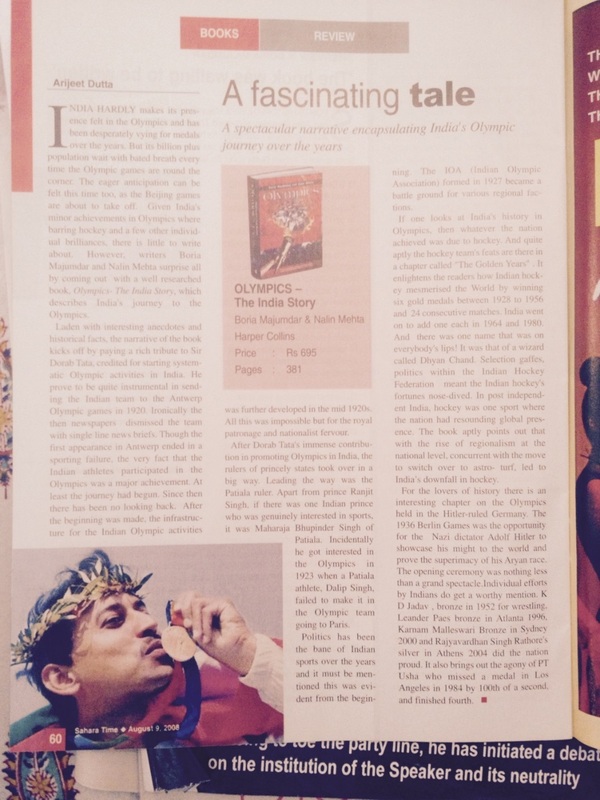 makes for a well-produced, comprehensive reference work….a holistic account of India at the Games. It’s a well-researched and well-written book that begins with the beginnings: Mehta revisits the birth of television in India and its shaky initial years because of Jawaharlal Nehru’s apathy and neglect.… The narrative is racy, and the theoretical foundation is strong without being overwhelming…. At a time when the relentlessness of 24-hour television is erasing memory, a historical account such as this is eye-opening…Mehta has written a classic journalistic book in that he excels in reporting and fact-gathering. Its obviously a book that was begging to be written and Mehta has done a remarkable job… [he] has produced an impeccably researched, crisply written book on a momentous development of contemporary India. 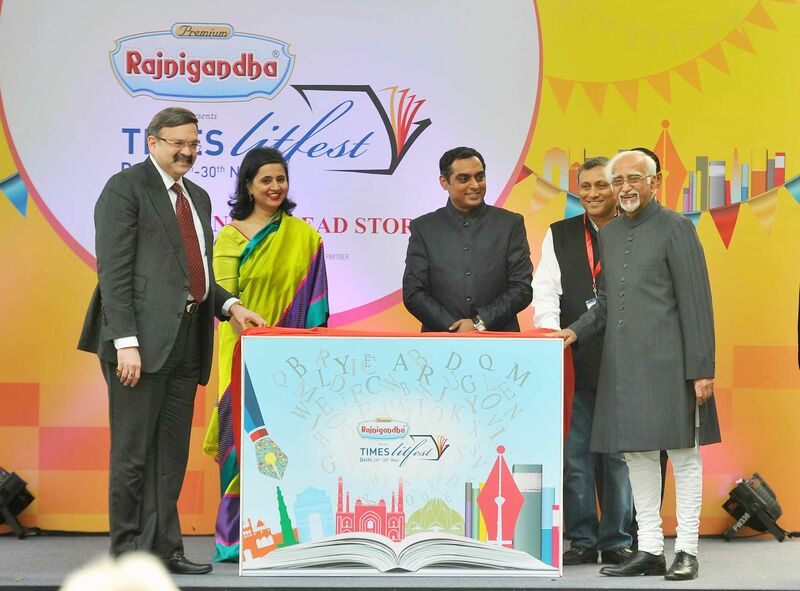 It has enormous ambition and is exactly what is says it is — a much-needed chronicle of the past heady decade and this “new and revolutionary theatre to the daily life of India…. 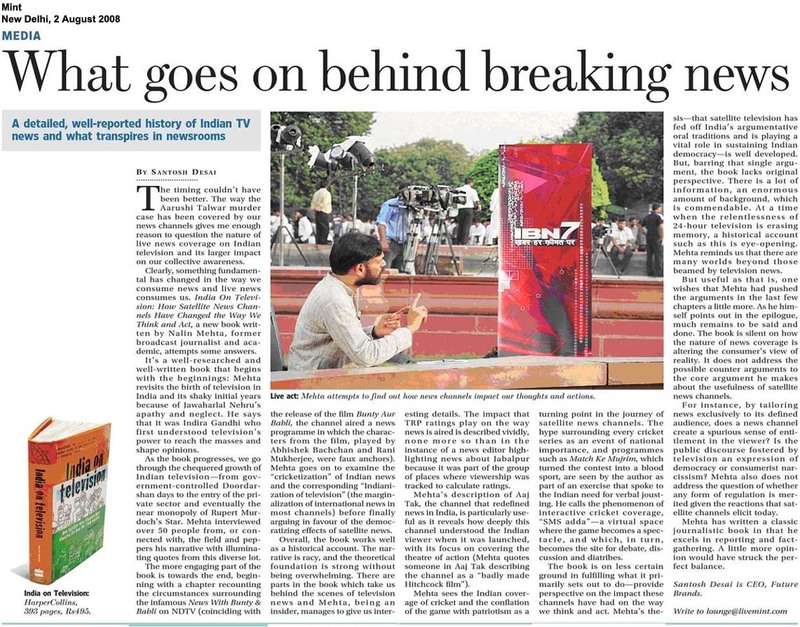 Mehta’s own immersion in the industry (working at NDTV and Times Now at crucial, formative moments in the business) gives a certain weight to his study, and an abundance of compelling anecdotal details. Nalin Mehta, a fellow researcher, had just bagged the same scholarship. 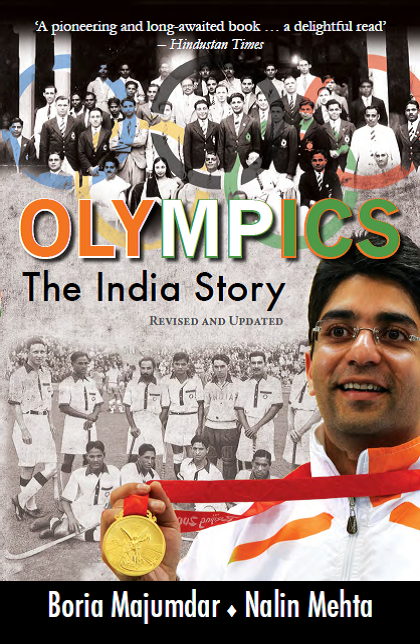 Boria handed over the literary baton and the result is the first detailed history of India’s Olympic experience. 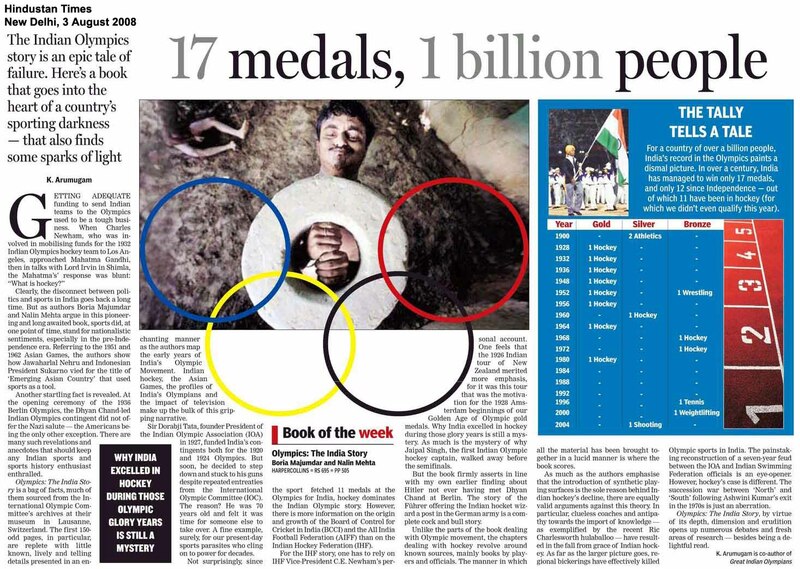 This is the first time that documented history has been used to tell the India Olympic story, one of sordid, self-serving politics, egos, power equations and regionalism…..it is a valuable addition to contemporary knowledge. This is the first comprehensive, scholarly and yet lively account of India’s experiences with the Olympics by two of the foremost Indian scholars of sport. 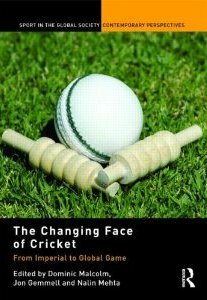 Those who rue the sparse thought given in India to games other than cricket will find here an unusual mix of well-researched data leavened by an undercurrent of dramatic, often touching accounts of struggle against all odds and the pathos of missed opportunities and unfulfilled promise. India’s Olympics exceptionalism has long mystified scholars and policy-makers alike. This ably researched and engagingly written book by two distinguished Indian sport historians lays bare the persistent regionalism, communalism and politics of clientalism that have kept India mostly an Olympic backwater, even as it rose to world hegemony in cricket and other cultural domains. Are newspapers under threat from the new media? 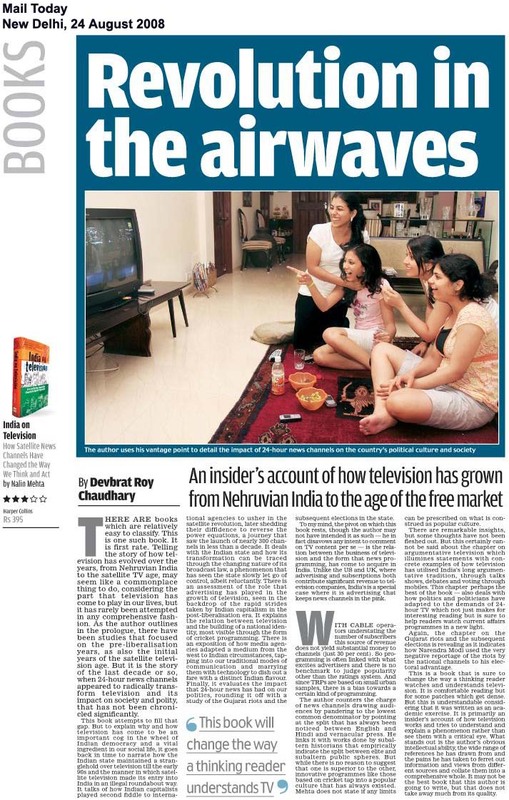 Though television helped shape public agenda, the question of how much it had transformed the public sphere needed to be analysed, said Nalin Mehta, School of Social Sciences, La Trobe University, Australia. The ratings race had determined television content and as ratings represented only the urban trends, rural programming had been compromised. NDTV correspondents Barkha Dutt and Nalin Mehta, along with their camera crew, had to beat a retreat from the Juhurpura vegetable market area in Godhra, after a mob surrounded them. Apparently, the mob was instigated by some persons who claimed that the journalists were interviewing only Muslim voters. Dutt and her team sped away from the scene in a car after the incident. Even more ugly was the assault on the media, including physical assault, which accompanied the relentless exposes by mediapersons like Rajdeep Sardesai and Nalin Mehta, Bhargava Parekh, Umang Sohni of Zee News and Dibang of Aaj Tak, to name just a very few experienced reporters out of many others who did splendidly and were harrassed. FIRST things first. Let me celebrate the unrelentingly secular core of the Indian media, led by the younger journalists like Nalin Mehta and Shai Venkatraman of Star News and, of course, the more seasoned campaigners like Rajdeep Sardesai and Barkha Dutt and many, many journalists of Hindi and vernacular newspapers, whose courageous and timely reporting of the riots in Gujarat actually, truly helped save hundreds of lives. What I always like about NDTV/Star’s coverage are, first their 24 hours with a candidate. I particularly enjoyed Arnab Goswami’s 24 hours with Amarinder Singh, ending, after a helicopter ride and inching in cars through dirty village lanes, with a royal family dinner by a roaring log fire inside the palace now cleared of milling supporters. This was supported by tireless field reportage from Punjab by Nalin Mehta. It’s been almost one year since a massive earthquake hit western Gujarat state in India. Some 20,000 people are believed to have died then; hundreds of thousands were left homeless. Nalin Mehta is a reporter for NDTV based in New Delhi. He says the area struck by the quake looks very different today than it did just after the earthquake hit.